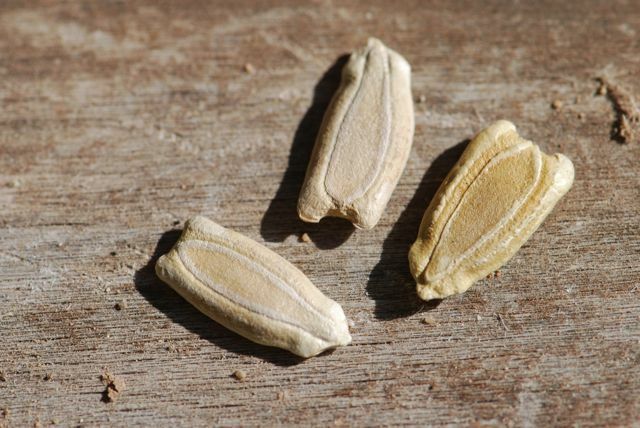 Did you guess what plant these mystery seeds came from? Do you recognize it yet? 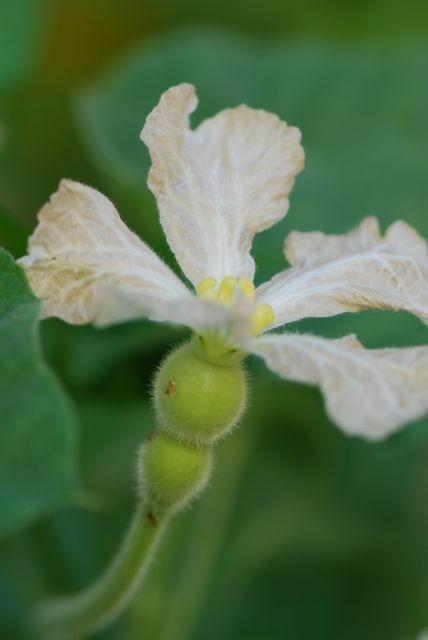 These are the flowers and vines of the birdhouse gourd, Lagenaria siceraria. We had never grown them before, so we were surprised to find out the white flowers opened at night. Apparently they are moth pollinated. 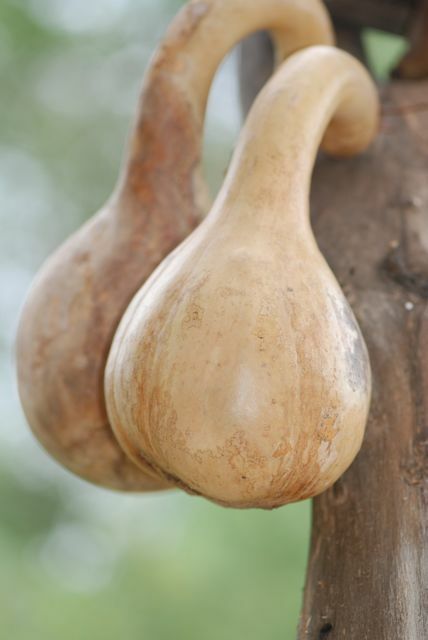 Like their relatives the squashes and pumpkins, birdhouse gourds have separate male and female flowers. 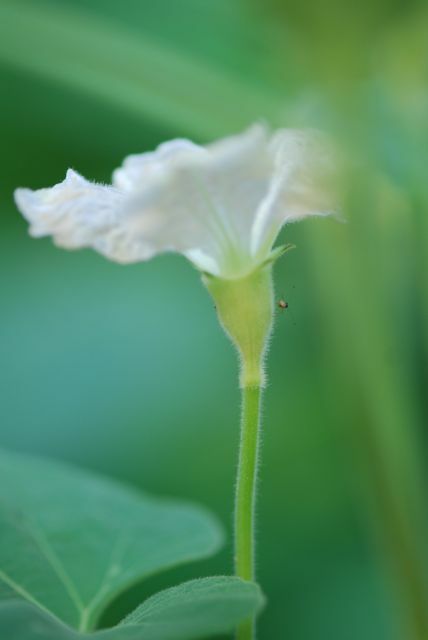 The female flowers have a rounded bump under the petals. 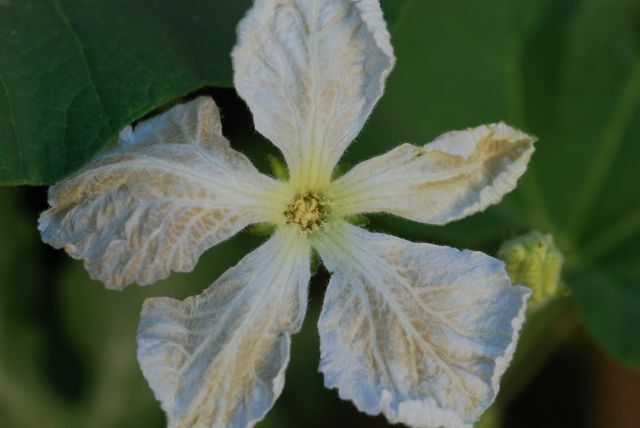 The male flowers lack the bulge. By the way, these plants trail everywhere, so if you decide to grow them, make sure you have a lot of space. 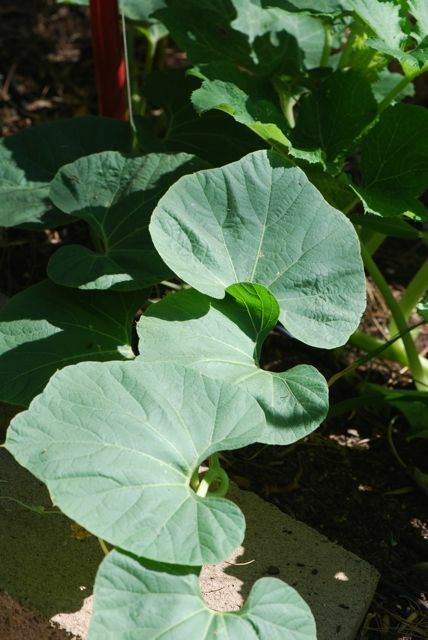 Have you grown birdhouse gourds?